Onkyo U.S.A. recently announced a new level 2-channel stereo amplifier named A-9110 Integrated Stereo Amp. This new model replaces its acclaimed predecessor, the A-9010 and its retail price is as follows: $349 USD / $449.99 CAD. Offering an entry point unit with a high quality stereo sound, the A-9110 delivers an outstanding performance. 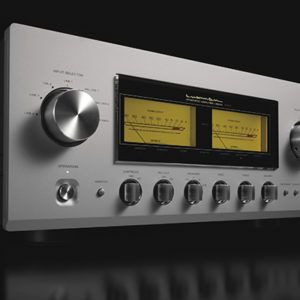 This specific model integrates custom-made or hand-selected parts, simplified and shortened signal-path topology, and specialized tuning to produce audio that is both warm and clear and it continues Onkyo’s impressive legacy of innovation and function within its 2-channel product offerings. Since it seems that vinyl and other stereo components know a renaissance of some sort, it is refreshing to see such a high-quality, performance-driven amp like the A-9110. Here are some of its specifications: 50W + 50W, 4 ohms, 20 Hz – 20 kHz, 0.9 %, 2-ch driven, FTC. 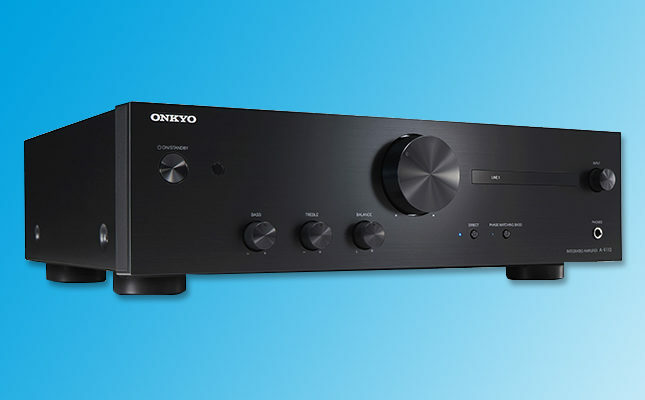 It also features several proprietary technologies from Onkyo that when coupled with the company’s expert component design and layout, results in a premier 2-channel amplifier. Key to the amp’s lively dynamics is its WRAT (Wide Range Amplification Technology), Onkyo’s time-proven high-current platform featuring a high-output EI transformer, low-ESR filter capacitors, and discrete power transistors. High-current capability assures instantaneous response to speaker-impedance fluctuations while precisely controlling the drivers for accurate yet musical expression. The A-9110 benefits from Phase Matching Bass Boost, a unique audio technology that aligns the phase of low- and mid-band frequencies above 300 Hz for richer bass and clearer vocals. Together with Optimum Gain Volume Circuitry, which requires half the conventional amount of signal attenuation to prevent interference from the amp’s noise floor, listeners can enjoy an unparalleled sense of clarity, depth, and vibrancy at low-level playback volumes. For the purists, the A-9110 features Direct Mode whereby tone-control and Phase Matching Bass Boost circuits are bypassed which helps maintain fidelity by further reducing signal-path lengths. With the increase in accuracy, sound quality and sense of atmosphere move closer to the original recording, whether it’s captured on vinyl, CD, or a high-quality digital file. Design, component choice and layout are critical aspects of the A-9110, which features a blend of custom-fabricated and hand-selected high-quality parts. Tackling the effects of electromechanical resonance, the A-9110 receives a significant upgrade in chassis rigidity with thick 1.6 mm metal construction to dampen vibration and associated noise in concert with large insulators. Ample connectivity abounds with four RCA line-level inputs, discrete MM phono equalizers, line-level outputs, subwoofer outputs, and top-quality non-magnetic speaker binding posts with clear knobs. Finally, the clean front-panel design features a new, slim display panel showing active input, while RI (Remote Interactive) inputs on the rear panel unify system control with compatible Onkyo CD transports, digital tuners, and network streamers. In all, the A-9110 Integrated Stereo Amplifier is an affordable entry-point to the world of authentic hi-fi musicality. More information about Onkyo U.S.A.’s complete line of products can be found online at www.onkyousa.com.